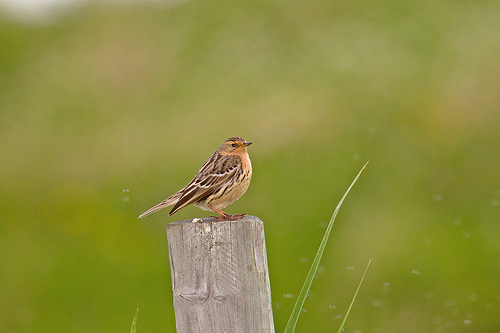 The Red-throated Pipit breeds on the northern European tundra and migrates in autumn to southern areas. In western Europe it is a fairly rare winterbird. 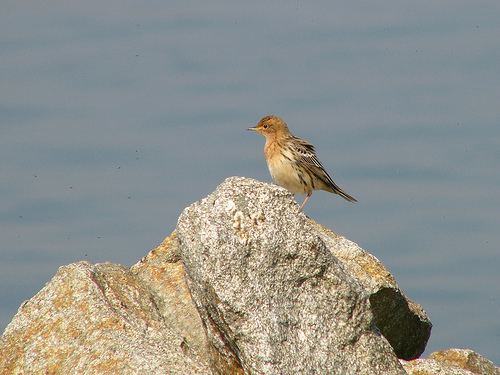 In summer, the Red-throated Pipit has a reddish brown throat and chest.